Like they say, the internet never forgets! Donald Trump has constantly been exposed as a hypocrite thanks to twitter and you'll think he should have learned his lesson by now. 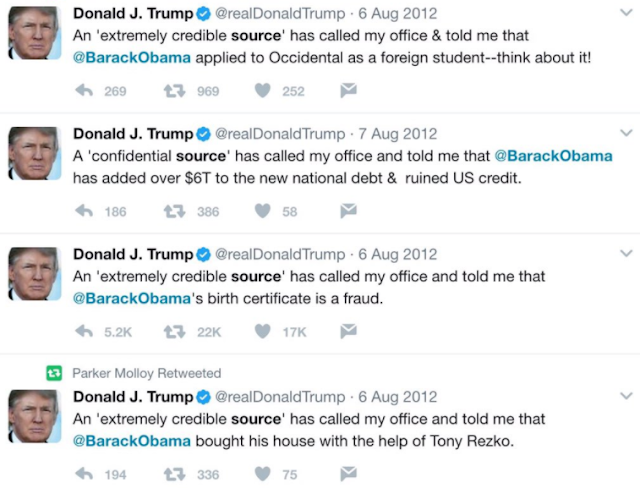 Donald Trump took to his twitter handle today to slam media outlets claiming to have 'fake' sources they cannot name.